The space contains a total of 192 work desks, 2 television studios and 28 commentary boxes. The press grandstand is fitted with wireless technology (WiFi) that is restricted to accredited media and different plasma screens that show live match broadcasts and also show action replays and match highlights. The area also has the corresponding sockets for the connection of computers and other equipment. 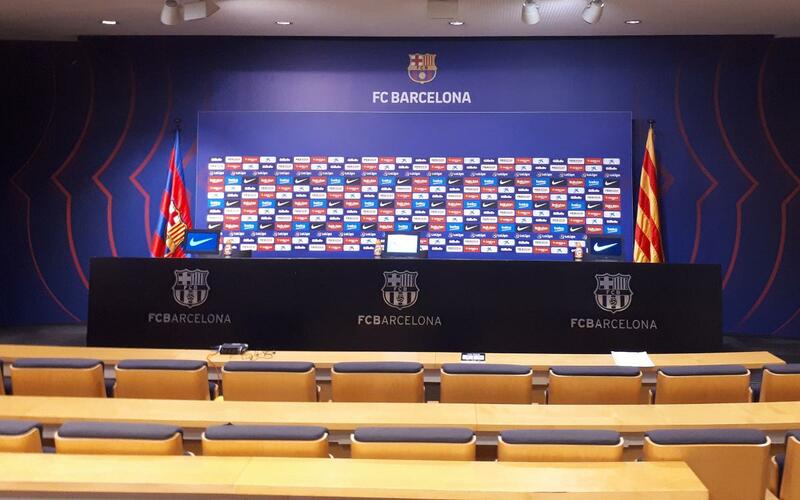 This is the space where the players speak to the media after matches at the Camp Nou. 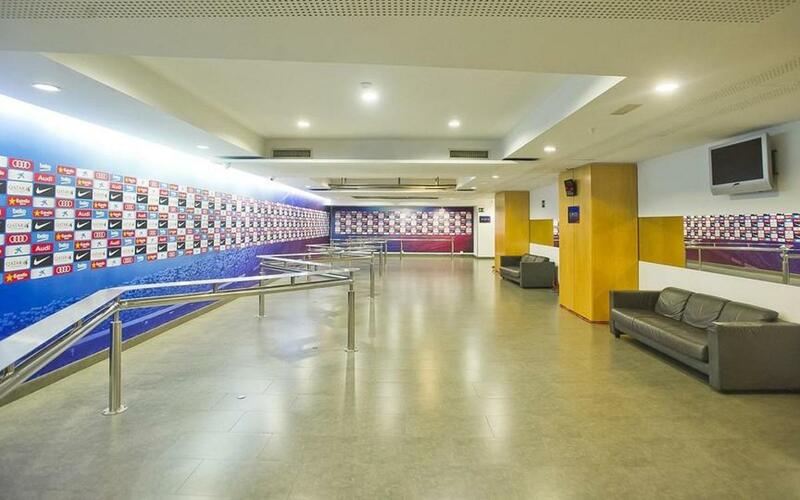 The Camp Nou’s mixed zone is 170 metres squared and is located alongside the press room and first team changing rooms. It is a well-lit area divided into two zones – the area where the players walk by and the area occupied by members of the media. This space has enough room for 100 reporters to gather and is equipped with wireless technology (WiFi) restricted to the accredited media and also has three monitors where reporters can watch the press conferences going on in the room next door at the same time.The mixed zone is exceptionally spacious, functional and comfortable to work in, meaning that the members of the media are able to do their work in the very finest conditions. The Ricard Maxenchs press room at the Camp Nou is a large, modern space where the media can attend press conferences.The 225 square metre area is designed like an auditorium and is located right alongside the mixed zone and the dressing rooms. It has 135 seats that all have individual connections and direct audio sockets and are equipped with wireless technology (WiFi) that is restricted to the media. The pressroom also has two monitors and a projector for making presentations and is also equipped with a simultaneous translation system. Radio and television reporters also have an area reserved for them at the back of the room that is fully equipped for their different needs. 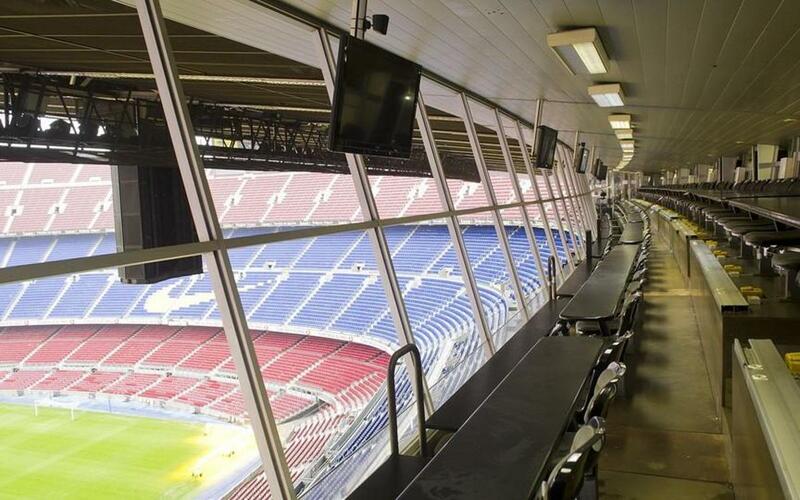 The Ricard Maxenchs pressroom at the Camp Nou is exceptionally comfortable and offers such a high standard of services that the media are able to get their work done in the very finest of conditions. 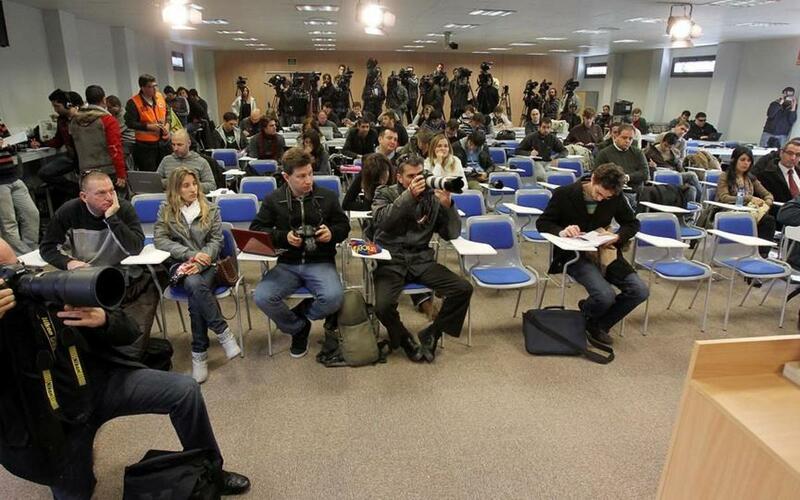 This is the room where the coaches and players give press conferences on non match days. The pressroom at the Ciutat Esportiva Joan Gamper in Sant Joan Despí is 350 metres squared and is the area used by the media reporting on press conferences and conducting personal interviews. It has a total of 100 seats and different workdesks that all have the corresponding sockets required in order for members of the media to work in the very finest conditions. Like all the other press facilities, the room is fitted with wireless technology (WiFi) and also has two monitors. Radio and television reporters also have a fully equipped room available for them that is adapted to all of their different needs. This is also the area where the media conduct personalised interviews with the players. The pressroom has four interview rooms that are equipped and adapted to such a purpose. This is the space used by photographers on match days to edit and send their pictures. 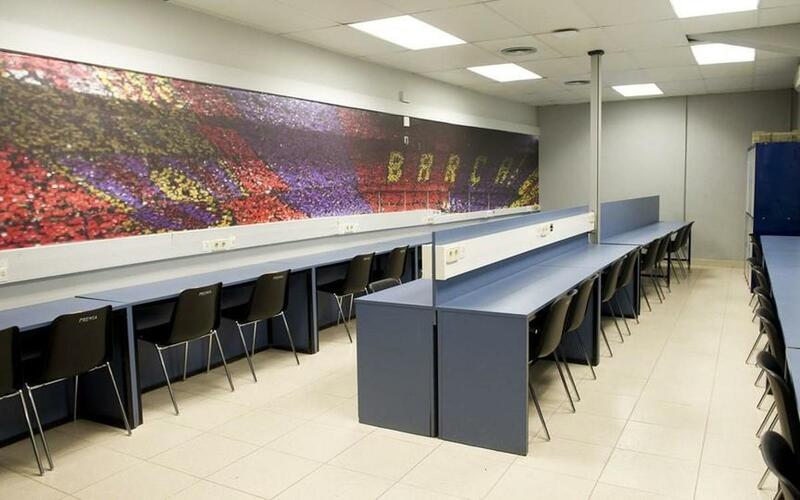 The Camp Nou photographers room is located in the tunnel between the North Stand and the Grandstand and is the most commonly used space by photographers on match days. The room is 25 metres squared and has the capacity for 60 photographers. It is exceptionally functional because it is strategically situated right next to the pitch and is equipped with wireless technology (WiFi) exclusively for accredited photographers on match days.